From sporty to spacious, safety-conscious to cute and colorful, Volkswagens come in different types to match the personalities of their many owners! At Indian Peaks Auto, we understand that you want your Volkswagen running its best to get you going to all the things you want to do. With our outstanding Volkswagen service and expert understanding of how this vehicle type operates, we’ve got just what you need to get you safely on your way! With one of the widest ranges of vehicle makes and models, finding a high-quality Volkswagen service, maintenance, and repair shop that delivers high-quality service every time can be tough. Serving Boulder for more than 20 years, Indian Peaks Auto is the Volkswagen service you need! 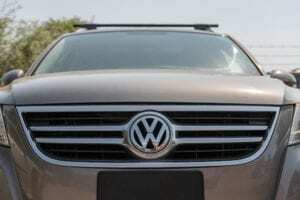 Volkswagen models can provide some clues that problems are emerging. Maybe you’ve noticed a rattle under the car, increased fuel consumption, a check engine light has popped on or a small oil leak. These are common signs that your Volkswagen service is due, and your car needs attention. Regular maintenance and vehicle checkups are an essential part of ensuring your vehicle is performing at its best, saving fuel, and is safe for you and others. Indian Peaks Auto provides the highest-quality service in Boulder for virtually every Volkswagen make and model. Whether you need your Volkswagen Jetta checked before a road trip, your Golf diagnosed for an odd noise or an oil and filter change and brake check for your Beetle, the team at Indian Peaks Auto know what you need! Our Volkswagen expert team of technicians offer more than 100 years of combined experience to get your car in the best condition possible.